The global leading provider of external memory storage solutions, Western Digital (WD) has launched its new 6TB My Book Studio Edition II dual-drive external storage system to address the ever-increasing demands of HD contents creation by today’s creative professionals and Mac enthusiasts, combining (Redundant Array of Independent Disks) RAID-supported configurations with quad interface – FireWire 800/400, eSATA and USB 2.0, aimed for ultra-fast performance and ultimate data protection. The new high-capacity 6TB WD My Book Studio Edition II portable dual-drive system that compatible with Windows, Mac OS X and Apple Time Machine is now available for around $550. 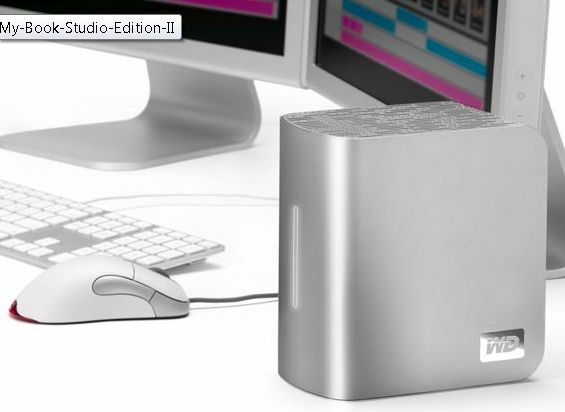 In addition, the long-existing 2TB and 4TB My Book Studio Edition II are priced at $250 and $450, respectively.